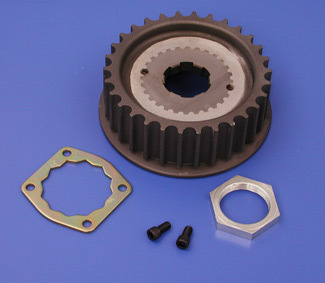 BDL's lightweight aircraft aluminum transmission pulleys are about 1/3 the weight of stock pulleys. What this means is that it will extend the life of the fifth gear bearing and lighter weight means more horsepower transfer to the rear wheel. 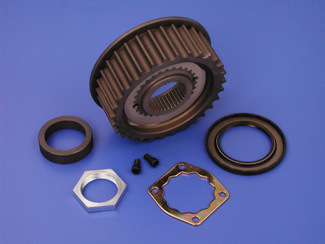 The pulleys are hard-anodized for durability. 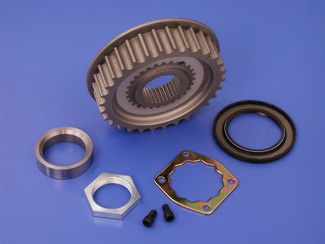 Includes: a spacer, shaft nut, seal and retaining plate with screws.